Born on the 22 March 1599, Anthony van Dyck was the second son and seventh child to a wealthy and well travelled cloth merchant from Antwerp. Anthony had a very close relationship with his mother, a skilled embroiderer who created landscapes and figures in her works. This was van Dyck's first exposure to art and on seeing her son's passion for drawing, his mother nurtured and supported his artistic desires. Van Dyck's mother convinced his father to let him leave school at the age of 10 to study under the Flemish artist Hendrick van Balen in order to nurture his talent. From then on, Anthony showed immense skill in painting, color creation and various compositional techniques. Aged fifteen he was already demonstrating considerable talent in portraiture. In 1615 Anthony van Dyck and his friend, Jan Brueghal the younger, opened up a studio in Antwerp and they soon started receiving orders and commissions from the public. Van Dyck also became a skilled draughtsman and etcher in his own right. In 1618, he earned his way into the Guild of St. Luke in Antwerp as a free master and not long after that became chief assistant to the biggest artist of the time in Northern Europe, Peter Paul Rubens. 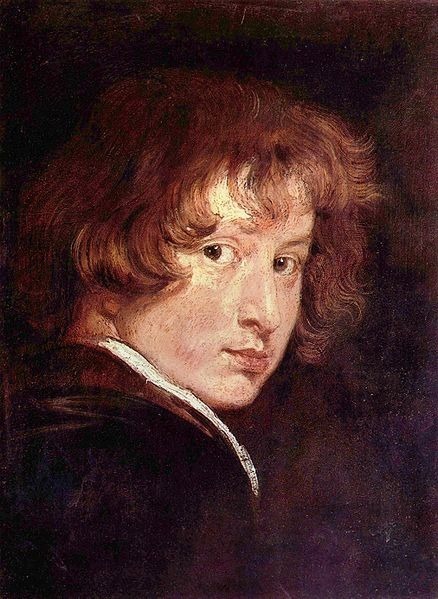 Rubens was to become the biggest influence on van Dyck and in his studio the young artist was soon acknowledged for his unique skill. It seems that van Dyck became somewhat conceited as a result but he was also a sensitive man who did not take kindly to criticism. Seeing his pupil's talent in portraiture, Rubens urged van Dyck to specialize in this particular genre but also encouraged his religious and historical works. Van Dyck clearly listened to this advice as the majority of his later works would focus on portraiture. Seeing van Dyck's progress, Rubens convinced the young artist to take the pilgrimage to Italy to improve and refine his talents and make connections on his travels. When van Dyck's studies came to an end, the artist gave Rubens three works of art as a parting gift, one being of his wife, Isabella Brant. In return Rubens gave van Dyck one of his finest horses from his very own stable, which van Dyck included in several of his later works. Van Dyck was invited to England in 1620 along with six other artists from the low-lying provinces and was commissioned by The Hague to paint various works at the British court, as King Charles I was an avid art collector. 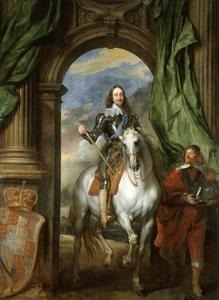 In England van Dyck painted a portrait of the late King Charles for which he was paid 100 pounds. It was during this time in England that the artist was exposed to the royal collection of works by great masters such as Titian whom van Dyck instantly admired. However, van Dyck did not stay in England long, returning to Flanders after just four months. Keen to see his pupil's career flourish, Rubens again insisted that it was time for van Dyck to go to Italy but by this time van Dyck was smitten with a young lady named Anna van Ophem who lived near Brussels. He moved to Savelthem, where she was living and forgot all about travelling to Italy. 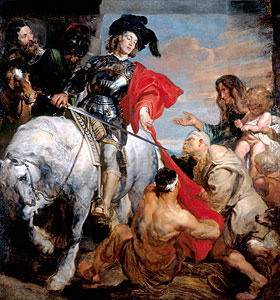 It's thought that under Anna's spell, van Dyck created St. Martin dividing his cloak which featured the horse Rubens had given him. Respecting his master's wishes, van Dyck eventually went to Italy in late 1621, eager to learn about the great masters in the school of Roman Antiquity. Van Dyck first travelled to Venice where he studied under the style of the Venetian Schools and spent a great deal of time learning about his main inspiration, Titian. He made numerous sketches of Titian's works and later used the subject matter for his own creations. 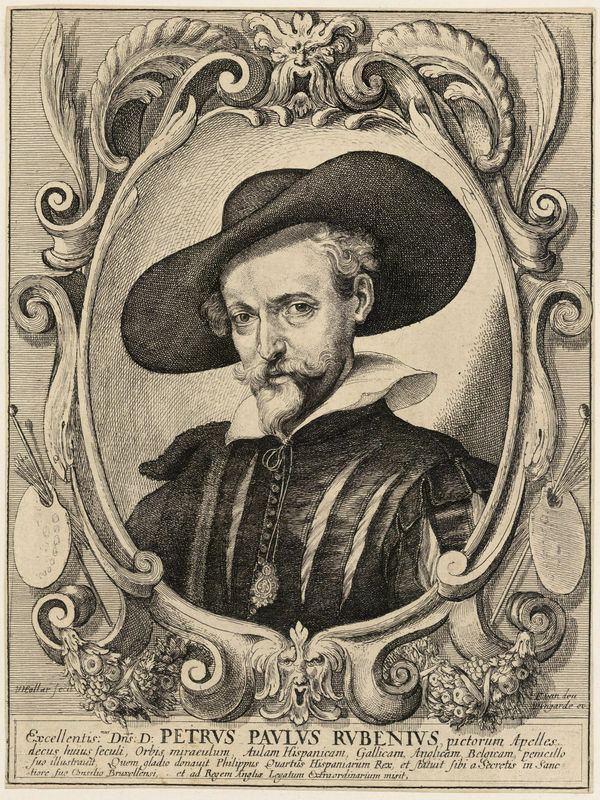 Despite financial difficulties van Dyck eventually had enough money to move on to Genoa. 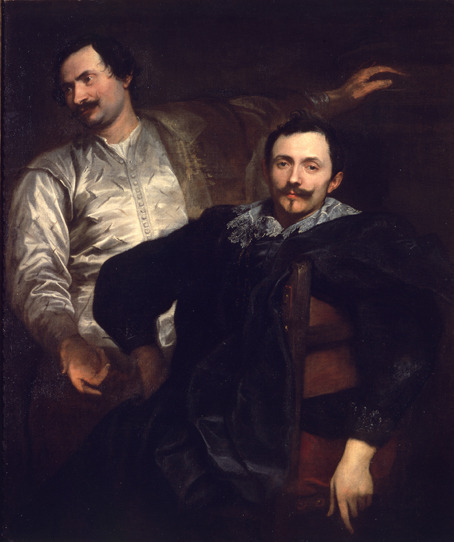 Lacking the connections Rubens had when he was in Italy, van Dyck stayed with two other Flemish artists and good friends, the brothers Cornelius and Lucas de Wael. Through these two friends he was introduced to various patrons and wealthy residents. 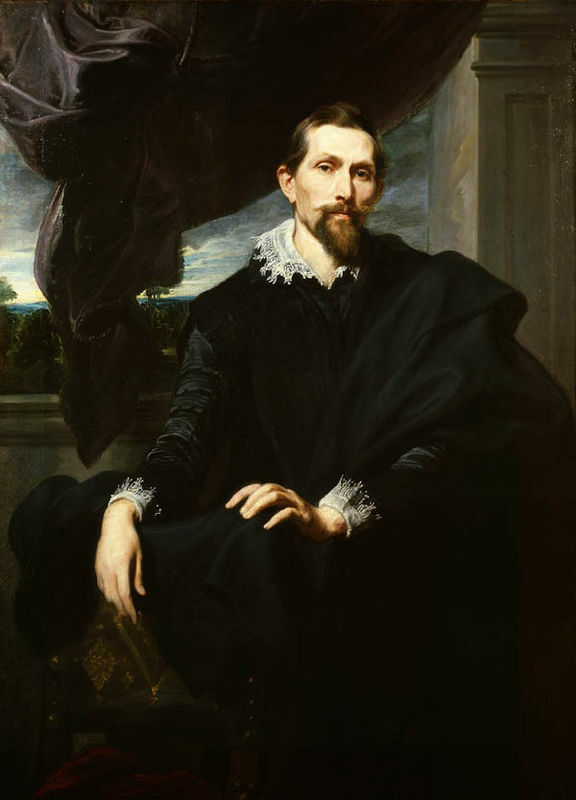 From Genoa van Dyck travelled extensively, visiting Rome and Sicily. After completing his travels, he returned to his two good friends and before leaving Italy he bestowed a gift unto them, a portrait of the two brothers. 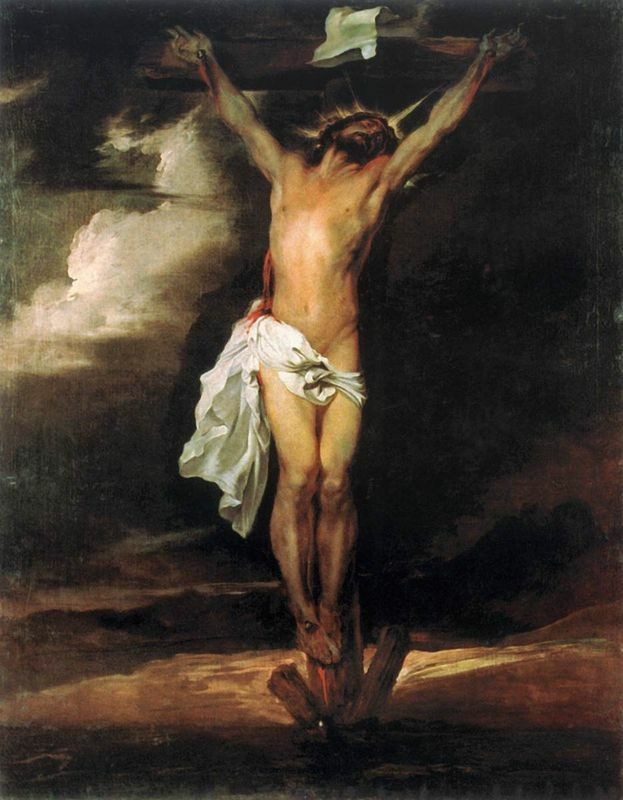 In Rome van Dyck stayed with Cardinal Bentivoglio who commissioned his first work there, Crucifixion. Having been in Flanders himself the Cardinal had acquired a taste for Flemish art. He introduced van Dyck to many subjects within the aristocratic circles and the artist gained many commissions for portraits of wealthy Ladies and Lords. He was also commissioned by the Pope to do historical works for the Pontifical Palace in Monte Cavallo. Despite launching a successful career in Italy, van Dyck left the country after six years due to the negative attitude toward his personal and artistic talent by his fellow artists. 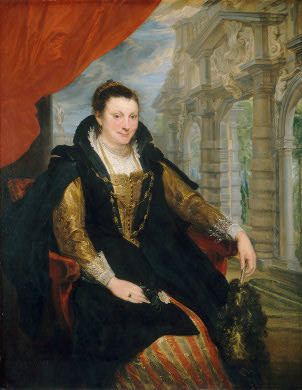 It was in Sicily that van Dyck met a ninety-one year old, blind painteress named Soffonisba Angosciola with whom he enjoyed regular, fascinating conversations. She became a big influence on his artistic techniques and methods. In Sicily, van Dyck made various portraits for the royal family and Viceroy of the city but due to an outbreak of the plague he had to flee to Genoa. In Genoa in 1627 the artist received a message that his father and sister had passed away and he had to take care of various issues surrounding his father's estate and will. In the same year he joined the Co-fraternity of the Bachelors of the Jesuits and on his acceptance to the fraternity he created an altarpiece for the society. Returning to Antwerp, van Dyck received numerous demands for portraits and works and he became a Court painter. He was also commissioned to do alter pieces for the Church of St. Augustina. 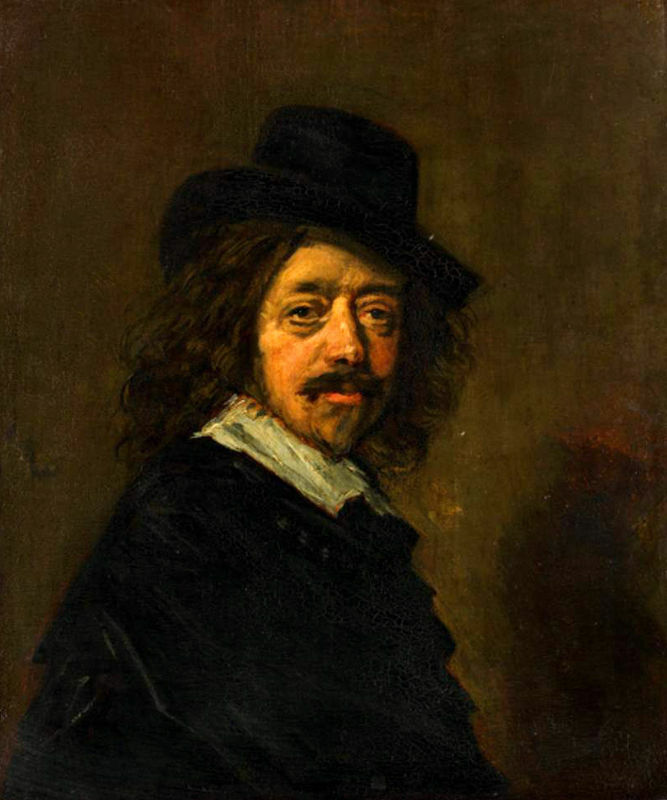 It was recorded that van Dyck had made a trip to Haarlem to meet the famous artist Frans Hals as he was fond of his painting style. On arriving in Haarlem at Hals' studio, van Dyck sent for Hals who was, naturally, socializing in a tavern. The messenger told Hals that there was a stranger asking to have his portrait taken. Hals rushed over to his studio and sketched him. In turn van Dyck asked Hals to reverse the position so that he could sketch him. On seeing the finished sketch Hals exclaimed that indeed the stranger can only be Anthony van Dyck from the Flanders as no one could possibly match this excellence in art. In April 1632, van Dyck left for England to the court of King Charles I. Van Dyck had kept in contact since leaving for Italy and had painted Charles's sister while she was in The Hague. He was also invited by the Countess of Arundel whom he had met on his travels around Italy. 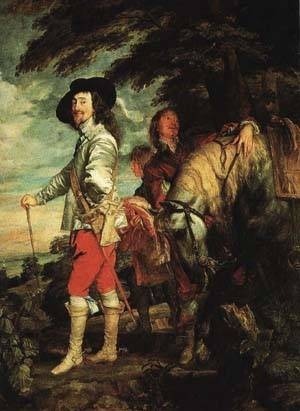 On arriving in London van Dyck was given a private house and studio at Blackfriars by Charles I and he and the Queen were frequent visitors. 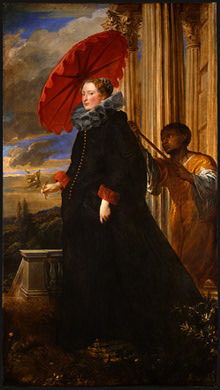 Van Dyck was immediately accepted into the British court and was later knighted. He became the court painter of King Charles and many others of the royal courts around England. Van Dyck made a big impression on artists working in England at this time and in fact, he went on to influence British artists for the next 150 years. Van Dyck became so popular in England that his name was coined for various aspects relating to art and culture such as the van Dyck outfit in which he painted for a commission and he had his own color - the van Dyck brown. Being in constant demand and accumulating a great wealth, van Dyck bought himself rich garments and jewellery and lavishly decorated his house where he would spoil his guest with extravagant feasts. This affluent lifestyle also involved the acquisition of several mistresses, one of his favourite being Margaret Lemon of whom he executed several paintings. 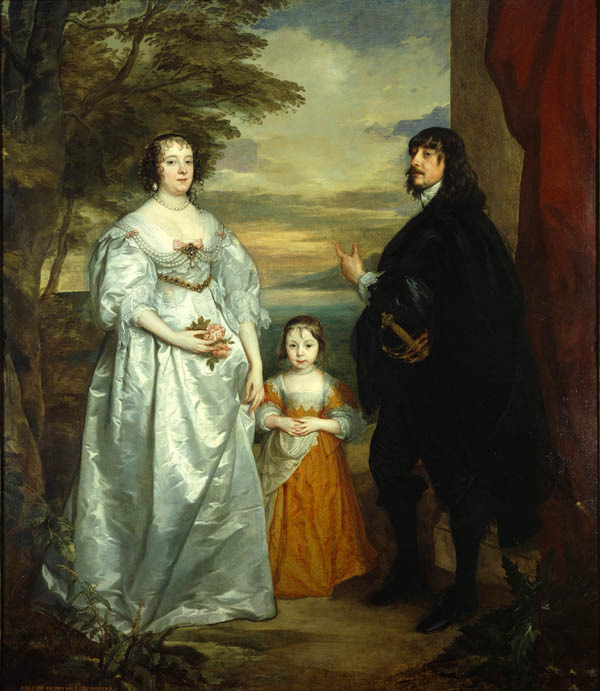 Concerned friends from the royal court were increasingly worried and on seeing van Dyck's indulgent and negligent behaviour the Arundel family arranged a marriage for him into a wealthy family. The bride was Maria Ruthven, whose father was a doctor and had been friends of the royal court for years. The marriage was arranged in the hope that van Dyck would settle down and stop spending his fortune and avoid the attention of a greedy mistress that would ruin him. After his wedding van Dyck faced certain difficulties regarding his desire to increase the price of his works. He also failed in his attempt to showcase his work at White Hall and so he decided to return to Antwerp with his wife. There he was invited to do some works for the royal family of France. In France he tried to gain work for the Luxembourg Palace but the King had already commissioned other artists and van Dyck was once again rejected. After two months he returned home. Later, he returned to England but there the entire royal family was being dispersed and the hospitality he had once enjoyed was coming to an end. Consequently, van Dyck became depressed and suffered from ill health. The King sent a physician to tend to him but nothing could be done at that point and he died aged 42 on the 9th December 1641 at his Blackfriars residence. He wife, who was pregnant during his illness, had given birth to their daughter, Justina on December 1st. He fathered another daughter, Maria Theresa, by his former mistress, Margaret Lemon. Van Dyck left his daughters a good inheritance. Maria Theresa was left 150 Guilders per year and a total of four thousand pounds while his legitimate daughter inherited the rest of his money, estate and art works. Anthony van Dyck was buried in Old St. Paul's Cathedral and King Charles erected a monument in his honor.